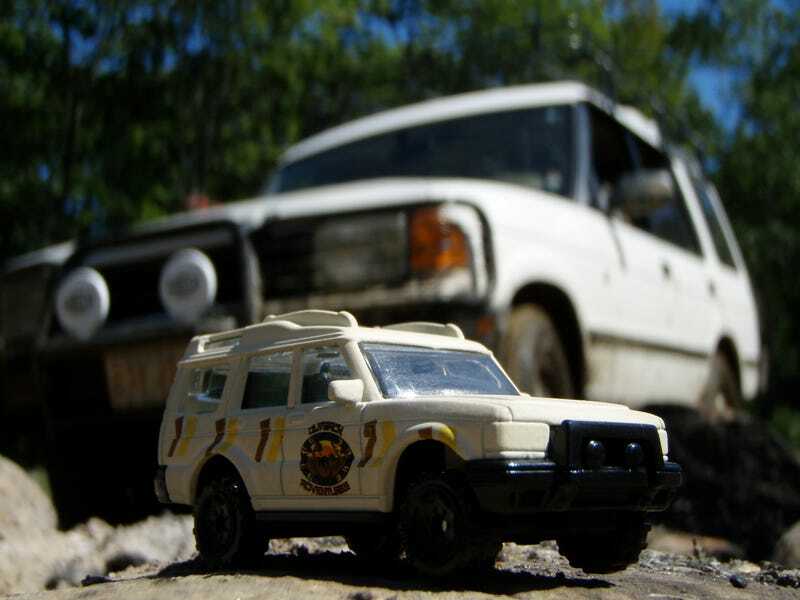 I started my "Off-Road" diecast collection with this Land Rover Discovery, bought because I had a real one at the time. Here they are posing together at "All-Wheels Off Road Park" in Lewiston, Maine. Sadly I don't have any more pics of the pair! I've still got the die-cast Discovery... actually thinking about painting it to match my real one more closely. Then I'll have to send it on more adventures on its own!